Paperless offices and digitizing documents is becoming commonplace for every type of business. It’s a good idea to find an easy to use way to save, store, and protect critical and important documents. Document scanning and archiving is very important – it helps you make sure that no matter what happens, your documents, files, and records will not be lost forever. Without a backup of your files, you run the risk of losing thousands of records- and dollars- daily. Companies that specialize in document scanning know how to properly backup all of your paperwork and files so they don’t get lost. Once paperwork is scanned, it can be archived and stored offsite or securely destroyed. If something were to happen, you have piece of mind knowing that you still have the hard-copy documents, and they are out of harms way and protected. The more precautions you take, the better positioned you are to ensure your business can get up and running as quickly as possible after a failure or problem. To eliminate the concern altogether, many companies are migrating to a paperless office and cloud storage, and eliminating the costs and hassle of a hard-copy paper filing system. 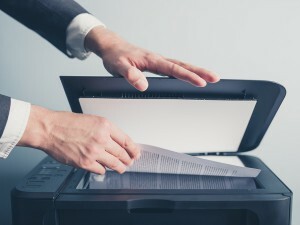 Business convert old documents into digital format for many reasons, but one of the biggest advantages of scanning documents is the ease of backing them up. If you have records that you have to maintain and update regularly, then going paperless helps you manage them very efficiently. Have you ever lost an important file? Scanning makes it difficult to lose anything- as long as it’s indexed properly. Old paperwork can be enhanced to make it easier to read, documents can be manipulated and changed easily, and you can usually find it quicker than hunting through the dozens of file cabinets or mounds of paperwork that clutter your office. If you keep your records in paper form, you are at risk of losing your information. This could be devastating to businesses that handles sensitive data, including doctors offices, law offices, schools/universities, and construction. 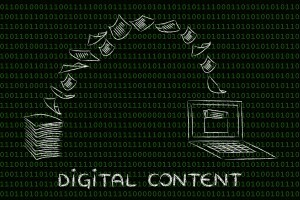 Protecting that info in a secure digital format is becoming a must. Looking for a Document Scanning for your business? Let a professional, secure document scanning company and staff take the hassle out of your records scanning project. Record Nations has the manpower to quickly perform the indexing, scanning, and post production work, which includes conversion of text via optical character recognition (OCR) software. This allows you to edit the documents, or redact private information to protect your customers. If you’re interested in converting your documents and records to digital format, let our experts know! To get started, fill out the form to the right, or give us a call at (866) 385-3706.